Svart Records announces the signing of VESPERITH. The first fruit of this union shall be the entity's as-yet-titled debut album, which will be released this autumn via Svart and co-produced by Jun-His of ORANSSI PAZUZU. VESPERITH is an intuitive, audiovisual expression of Sariina Tani. 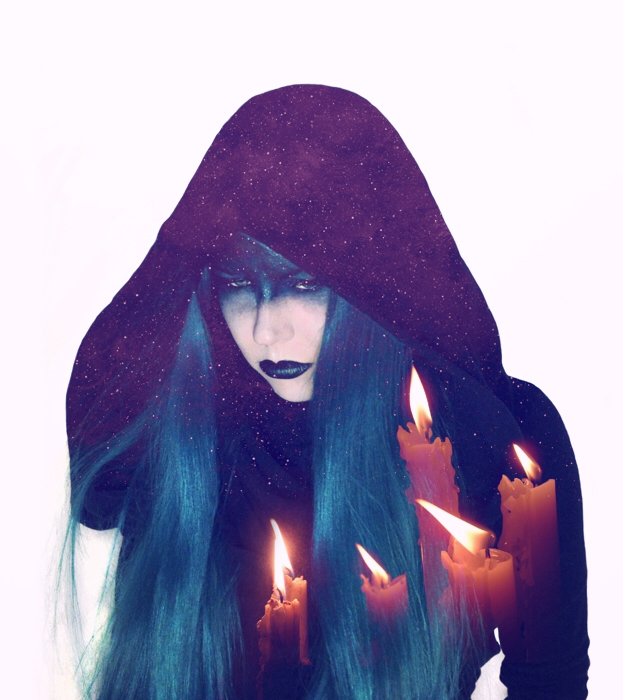 Often dwelling in shadowy and otherworldly dimensions, VESPERITH is a meditatively chaotic blend of atmospheric drones, screeching, noisy distortion, and mesmerizing ambience while Sariina's vocals journey from ethereal melodies to raw screams. VESPERITH is a vessel to forge something new, evocative, radiantly dark and cosmic into being. VESPERITH's first album for Svart is a symbolic journey about a personal, deeply transformative process of becoming whole by acknowledging and integrating one's own shadows. The album has been brought to completion with the help of ORANSSI PAZUZU's Jun-His and Tom Brooke at Tone Haven studio. And although solely the creative province of Tani, VESPERITH does have a functioning live lineup. “When I create, I do not want to be restricted in any way”, says Tani. “My art needs that kind of safe space of limitlessness and timelessness to form the abstract images I see into this realm”. Explaining the VESPERITH aesthetic further, “I feel there are too many rules about how things are supposed to be that people do not even question in their lives. I don't mind people living happily in their boxes, but when the only acceptable way is the way of the box, it becomes hostile to the ones that are meant to break it - and most of us are”. VESPERITH's debut for Svart shall be released this autumn. As yet titled, Tani explains her aims for the album: “On this album, I wanted to un-identify myself and those false and constrictive identities that I had gathered and that have been laid upon me. I looked to my deepest wounds, made a pact with my demons, and allowed myself to start healing”. Concluding, “My work is mostly an improvisation on the sound I've found while exploring my synths”, says Tani. “The song that comes might have a pattern, theme, or maybe even choruses, but I never restrict my expression in a way that it has to have something of those or to be in certain genre. Usually, the sound speaks to me what it wants to form into and then I just do that. On this album, I had only one restrictive thought, and it was that I wanted it to depict my journey to the beyond, but eventually, I needed to abandon that idea, too. When I surrendered to the utter hopelessness of getting anything done, the music flowed and formed naturally to be exactly that what I wanted. It was a paradoxal experience, and I learned an important lesson of trust”.